Ask any bookworm in your life and they’ll tell you the same thing – to travel anywhere without a bookmark is just sacrilege, and an insult to the tree who gave his life so you may read. You can use anything as a bookmark. I’ve been known to use a receipt, a train ticket or even a photo of one of my cats when in a bind. But, if there’s one thing I love, it’s a really beautiful bookmark. I zone in on bookmarks in shops like a woman possessed. This cute bookmark says “shoot for the moon, even for you miss it you’ll land among the stars”. Alfie my cat used to love playing with it, and she had most of the strings almost pulled out of it. I’ve got a thing for magnetic bookmarks – I once had one with a quote from James Joyce, but that’s gone astray these days. This little kitten one is just as effective, luckily. I absolutely adore this polka dotted bookmark. I had it made for me by my friend Sharon, who runs an Etsy shop where she shares some of her fabulous cross stitches. Definitely one for gifts. This beautiful hummingbird bookmark came from my friend Cora, along with a book to put it into. One of my favourite things about buying from The Book Depository is that they send you out a bookmark with each book you order. The bookmarks are blank, so you can let your creative side loose and attack with some colouring pencils when you’ve finished the book. I am all kinds of in love with these Hogwarts house founder bookmarks. I am a huge Harry Potter fan, and my friend from my book club gave me this cute set of bookmarks with the four founders on. I’ve already given the Slytherin and Hufflepuff ones to a good home, but the Ravenclaw one stays firmly with me. I love this! I often struggle to pick a book mark as much as I sometimes struggle to pick my next read – I have loads. I’m glad I’m not the only one! I love using real bookmarks instead of random objects! You have an awesome collection. 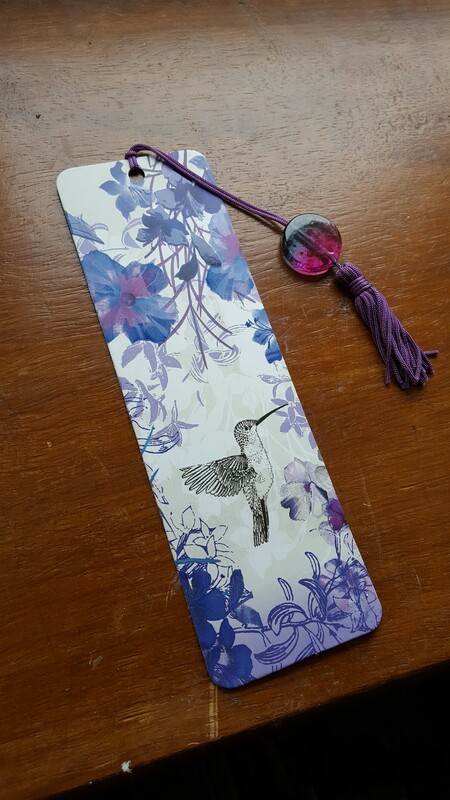 I love that humming bird bookmark! Beautiful! Just added a link now! I have to confess I’m a train ticket, receipt, random bit of something bookmarker! I always seem to lose real ones but odd bits of paper I can keep hold of for months! 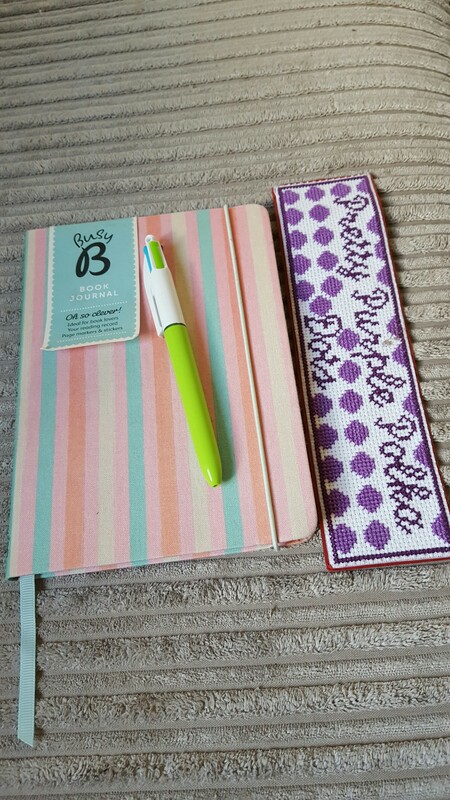 Oh I do love your customised one – how fab! In the Great British tradition, I just use old train tickets as bookmarks. I read physical books (vs. e-books) maybe 30% of the time so I always lose real bookmarks! Although I just found an old library loaning card in one of my dad’s books which is really cool, so I’ll probably use that now. 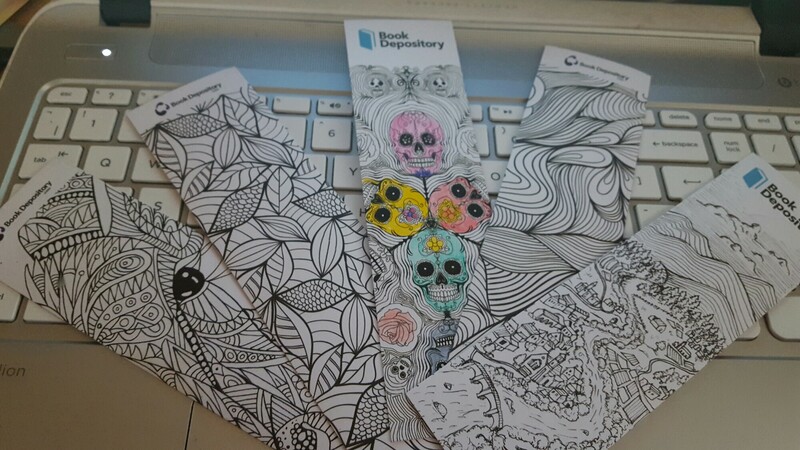 I love the color-in bookmarks, as well!